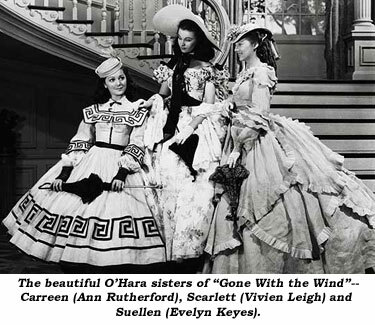 Vivacious Ann Rutherford is possibly best remembered by the general public today as Carreen, one of Scarlett O’Hara’s sisters in “Gone With the Wind” (1939), or as Andy Hardy’s girlfriend, Polly Benedict, in the popular MGM series from 1938-1942. 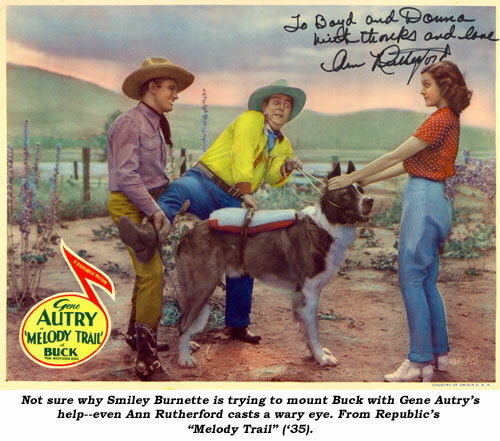 However, it’s the Golden Boot award winner’s B-Westerns opposite Gene Autry and John Wayne for which she’s fondly recalled by western devotees. 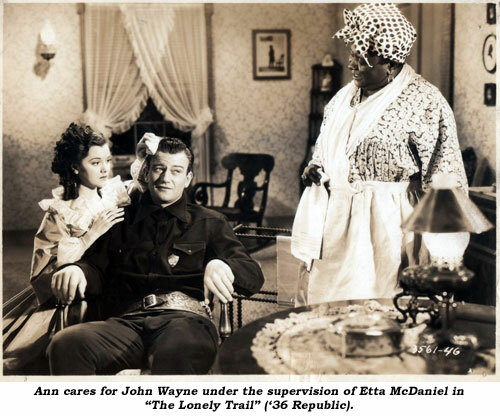 It wouldn’t be Republic in the ‘30s if Ann hadn’t worked with John Wayne. “John Wayne was always so relaxed. He wanted them to stop making him sing—and he didn’t sing in our pictures. 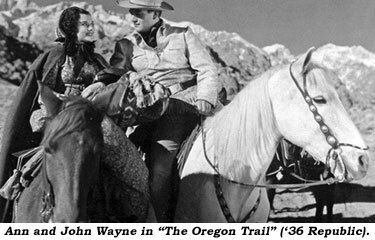 (Wayne’s singing voice in movies was dubbed in by Bob Bradbury, Bob Steele’s brother for “Riders of Destiny” [‘33], and later by Jack Kirk for “Westward Ho” [‘35].) He was a very nice man. I liked him a lot and it didn’t surprise me when he became a big, big star. He was charming, and so attractive. He was a good father, even then. He let his kids come on the set! But I didn’t bump into him later on. 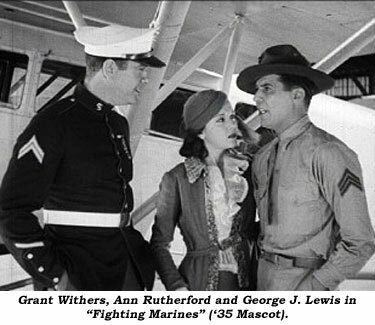 For the 1949-1950 season, Ann was “Blondie” on radio in the role originated by Penny Singleton. 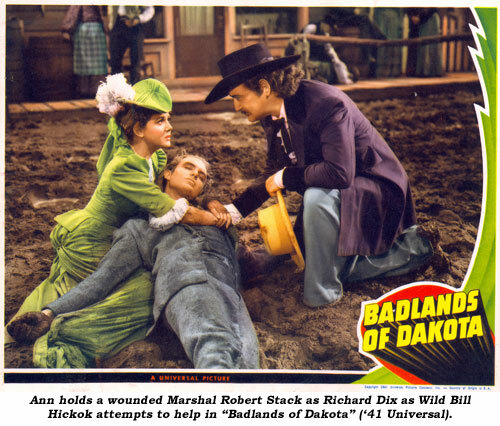 She was also heard regularly on “The Eddie Bracken Show” as Eddie’s girlfriend, Connie, between 1945 and 1947. 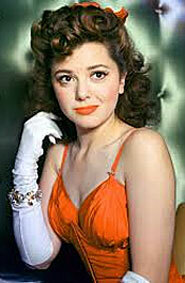 At 94, the gracious Ann Rutherford died on July 11, 2012 in Beverly Hills, CA. 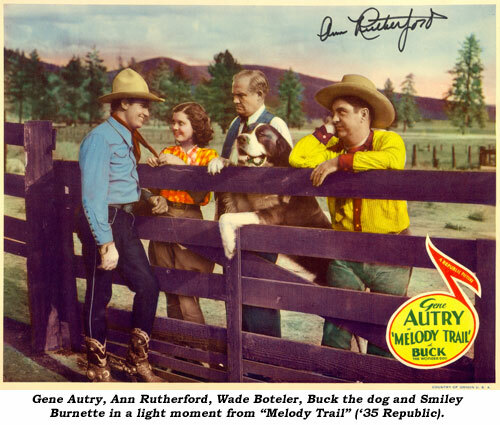 Movies: Melody Trail (1935 Republic)—Gene Autry; Singing Vagabond (1935 Republic)—Gene Autry; Oregon Trail (1936 Republic)—John Wayne; Lawless Nineties (1936 Republic)—John Wayne; Comin’ Round the Mountain (1936 Republic)—Gene Autry; The Lonely Trail (1936 Republic)—John Wayne; Public Cowboy No. 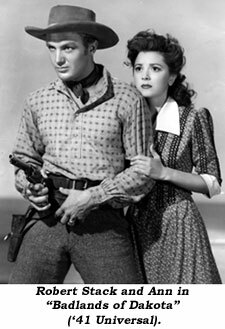 1 (1937 Republic)—Gene Autry; Out West With the Hardys (1938 MGM)—Mickey Rooney; Gone With the Wind (1939 MGM)—Clark Gable; Wyoming (1940 MGM)—Wallace Beery; Badlands of Dakota (1941 Universal)—Robert Stack. 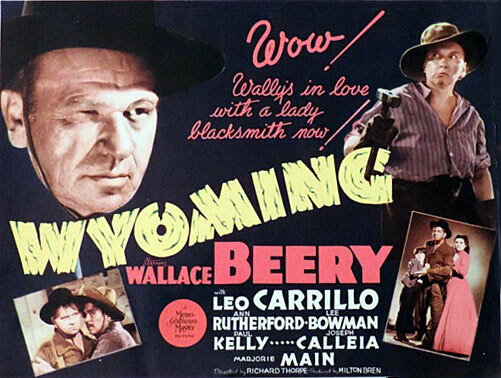 Television: Tales of Wells Fargo: Branding Iron (1959); U.S. 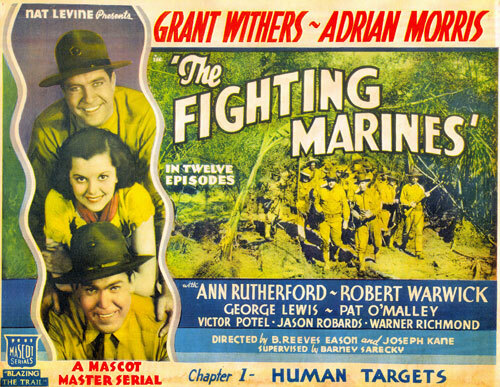 Marshal: A Matter of Friendship (1959).